Perioral Dermatitis...the Struggle is REAL! If you have been following me on Instagram then you know I have been at war with my face. 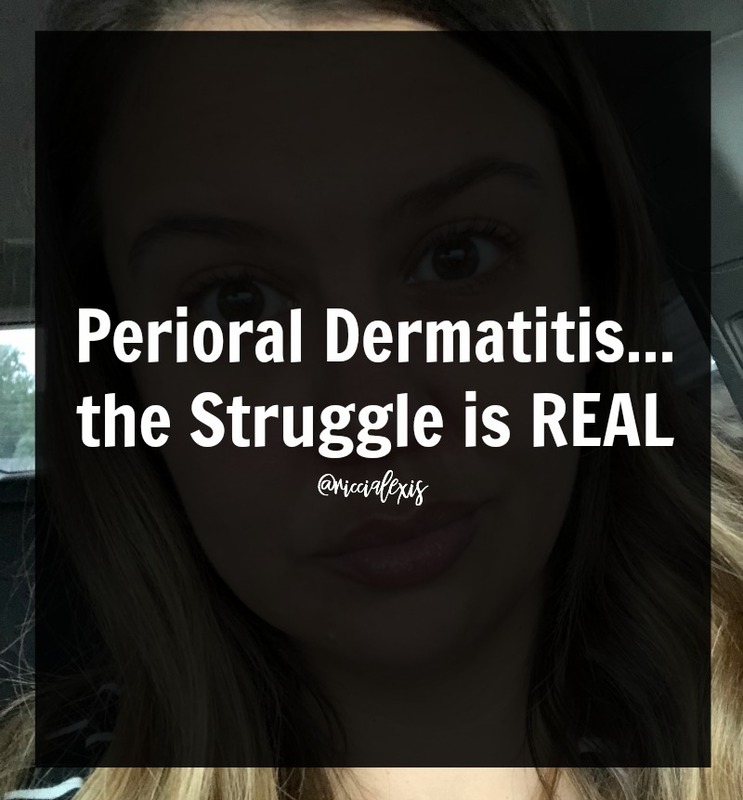 I was recently diagnosed with Perioral Dermatitis again and this time for no good reason! The first time I was diagnosed was 4 or 5 years ago and it was because I used Flonase use and this time I have no idea why? 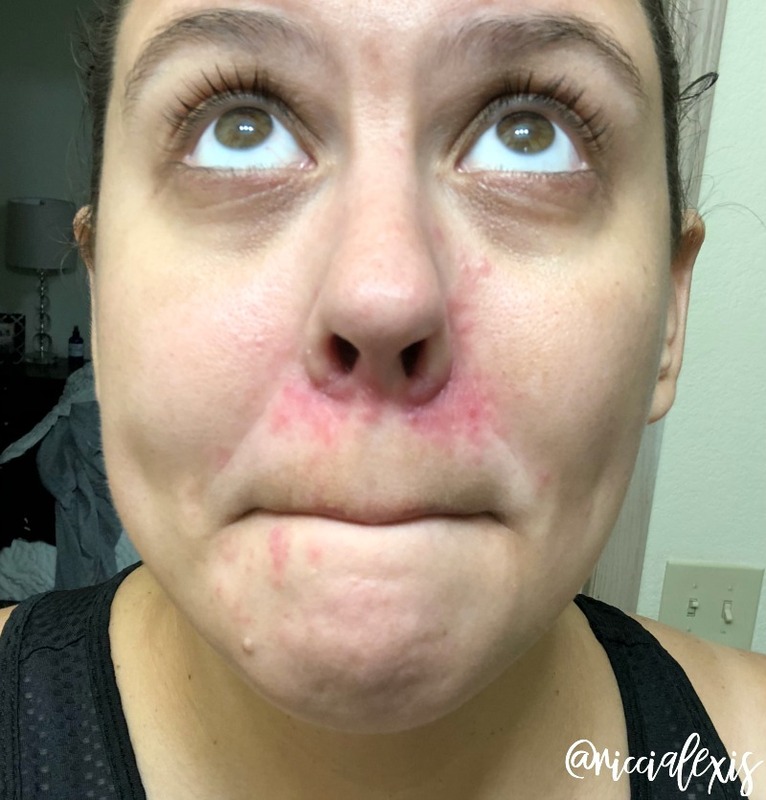 I talked about my PD flareup on my Instagram Stories and a lot of you had a lot of questions and a lot of helpful suggestions said so I said I would do a full blog post about it, super unflattering photos and all, so here we go…a Perioral Dermatitis update as promised! 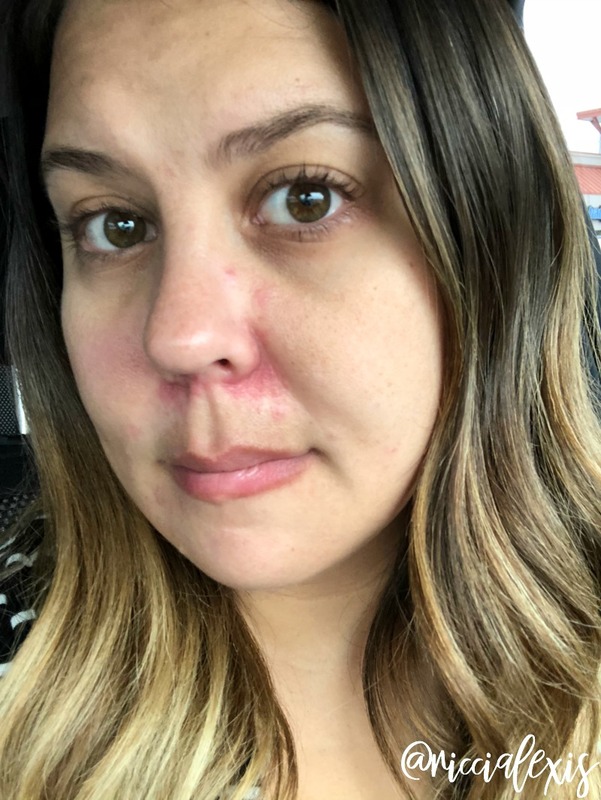 Back in early June I started to notice that my nose was getting kind of red but I thought nothing of it because I am allergic to everything outside (trees, grass, weeds, pollen, etc) and had been outside a lot because it was summer. A runny, irritated nose is something I deal with year round so I just went with it. June and July both came and went and my nose never got better. In fact, it got worse and I even started to get acne around my nose and mouth. Not to brag or anything but I never got the usual teenage acne and even the hormonal acne I do get now isn’t bad so this was a big deal. I can deal with a breakout or two but they usually clear up pretty fast and this stuff both looked and felt awful was NOT going away no matter what I did to treat it. I finally made an appointment with my dermatologist and I went to see him at the beginning of August and he couldn’t figure out what was causing the redness/acne. 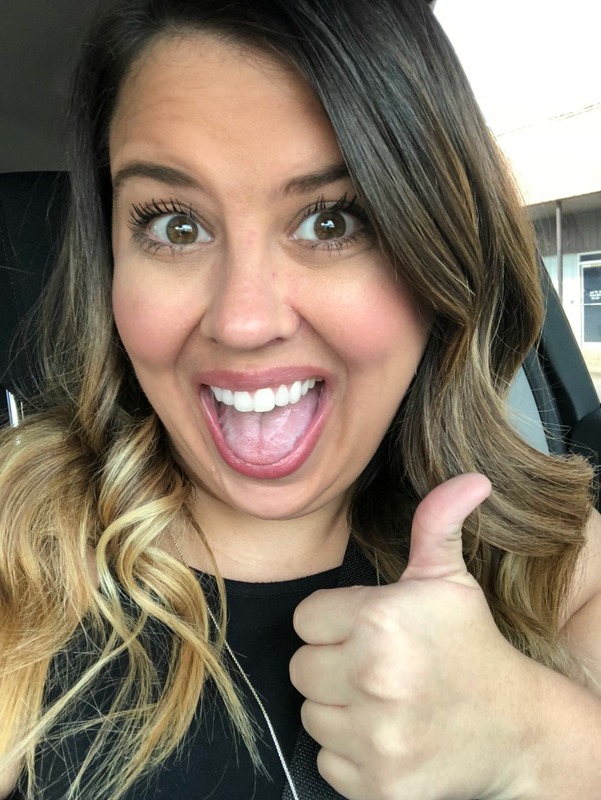 Since it had been a few years since my first Perioral Dermatitis break out I had completely forgotten about it and the fact that once you get it you are predisposed to get it again. My dermatologist started me on two different creams, one an anti fungal and one an immunosuppressive cream and told me to try them and come back in three months. He said one of those two creams was bound to clear it up in no time. Sounds like an easy fix, right? WRONG! I tried the anti fungal first and I think my face got worse?? It was a red hot mess and of course I didn’t take photos because it was just nasty. And of course this was right around when I was getting my head shots. Luckily I had an amazing makeup artist and you can’t even tell!! After two weeks of that treatment I switched to the immunosuppressive cream and my face cleared up almost immediately but even with continual use it got just as bad as before! 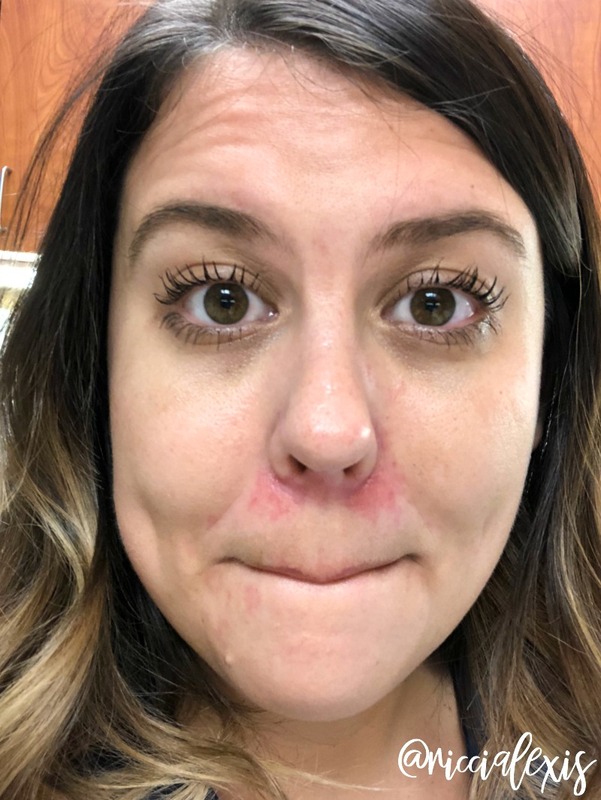 Here’s the deal with Perioral Dermatitis…it’s a facial rash that can cause super dry, flaky skin and red, inflamed bumps around your nose, mouth and even your eyes! It is predominantly found in women and children but mostly in women ages 25-45. The cause is unknown but has been linked to steroid use on the face, either in topical form or in nasal sprays. I used to use Flonase twice a day every day because my allergies were so bad! It worked and I eventually only started using it at night so I could breathe when I slept. After my first Perioral Dermatitis episode I only use it when my allergies are super bad and I haven’t used it since spring. So while that was probably the cause of my first flare up I have no idea what caused this one. After getting super frustrated with my skin I made an appointment for a facial thinking I just needed some exfoliation or something different to help the dry, flaky skin. Well the facialist didn’t even touch the area around my nose because she was afraid she would damage the area even more. UGH. My next dermatologist appointment wasn’t supposed to be until November and when I left my facial I drove to Target, cried in the parking lot because my face hurt so bad and I called my dermatologist to see if I could get in to see him as soon as possible. When I say my face was bad I mean it. The dry flaky skin around my nose was constantly peeling and flaking off. The bumps that were around my mouth eventually spread up the side of my nose and down my chin and there is no OTC acne treatment that will clear it up because it’s not acne. 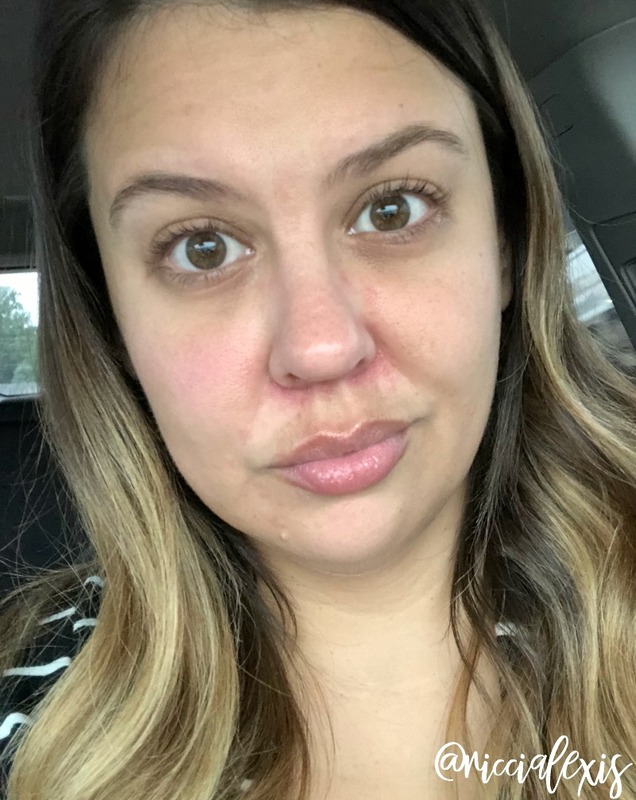 As promised I’m going to show you the pics I took the day I got my facial (two weeks ago) and they don’t even do it justice. I feel like it was so much worse in person!! And then here is the same day just with my lips in. Now you can see how red the area is and a few bumps on my chin. Here is the right side of my face, the bumps on my chin hurt so bad! And the left side of my face which is worse! My dermatologist says the left side of my face is worse because that is the side of my face I sleep on. My nose was way worse on that side too. After getting home from my Target breakdown I went to sleep and slept the rest of that day and that night and then woke up to this mess. Sorry for the super up close, gross pic but it is what it is. It was so red and inflamed and it HURT!! That night I went to my niece’s pageant and put makeup on and even though my face looked better it still hurt like crazy. I couldn’t wait to get home and wash my face. The Monday morning following that crazy weekend I found out there was a cancellation and I could see my dermatologist later that week. His nurse told me to stop wearing makeup and just do minimal skincare until I saw him so we could see if anything was irritating my face. And of course by the time my appointment rolled around my face looked a lot better but I’m glad I took these gross pics because I could show the doctor and let him see how bad it got and see that I wasn’t a crazy person. HA! …still a little red but no where near as bad as it had been!! And yes, I still wore mascara and did my brows but I didn’t wear any other makeup!! Promise!! HA. At that appointment my dermatologist decided to switch up my treatment and add an oral antibiotic and an antibiotic cream to my regimen to see if that helped. And he said once everything cleared up I could sloooowly introduce other face products (skincare and makeup) back into my routine. I am pleased to say that in just a week my face already looks so much better and feels better and my skin (other than around my nose) has never been clearer!! It’s crazy what two weeks of not wearing makeup and doing the minimal amount of skincare will do for you. LOL! I feel like I’ve been rambling so today I will leave you with that. 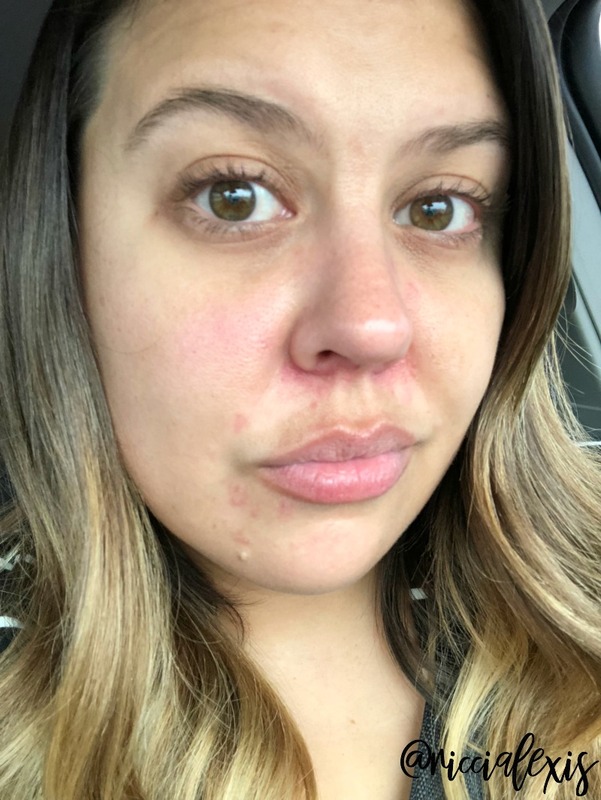 A very long, very detailed Perioral Dermatitis update with gross pics and all. I will do more posts about it soon…what I’m using to treat it, how I am changing what I put on my face, how my face reacts to certain products, etc. with the hope that maybe someone else who has Perioral Dermatitis can find some help!! If you have any Perioral Dermatitis related questions please feel free to ask! 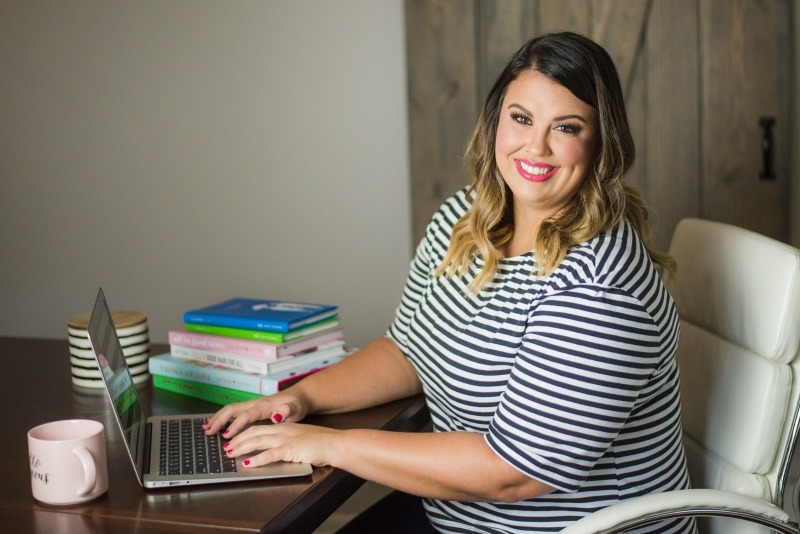 I am always here to answer any question you have! And if you have had it and changed your skincare routine please tell me what you use! My doctor gave me some very specific instructions but I will get into that in a later post but I am curious to know what you use if you have it too!! Do you, or someone you know, have Perioral Dermatitis?? My friend has it REALLY bad around her mouth & down her chin. She has been trying different creams & nothing has really helped. She cleaned up her diet & I think that has helped a little bit, but it’s still bothering her. I can’t wait for your second post to see what has worked for you. Thanks for sharing and your transparency. I hope that you find the perfect treatment or perhaps someone reads this that has found something that will be helpful. Thanks for sharing Ricci. I can certainly empathize due to my own troubles and I hope you get all better. Awe I’m sorry you have to go through that, I hope it continues to clear up! 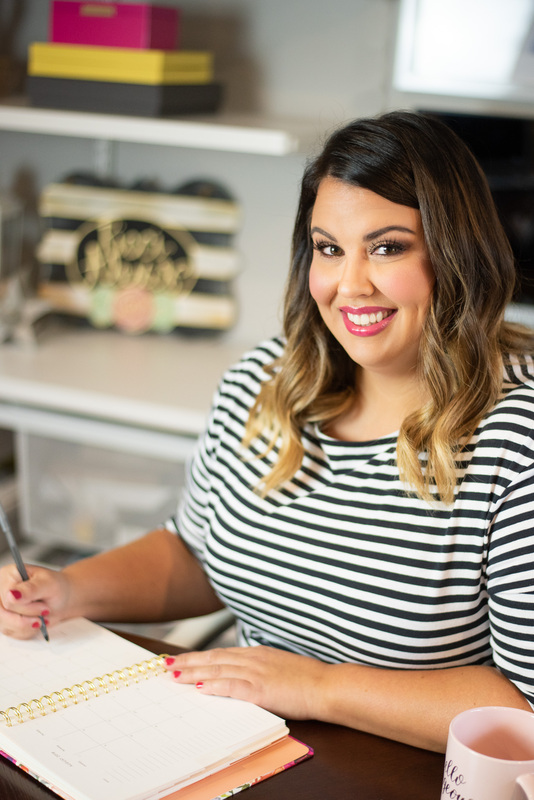 You are really a makeup magician. You couldn’t see a thing of the rash with the make up on! I hope you find the best treatment for you!. I so feel your pain! I am 68 and have perioral dermatitis. Mine was caused by my allergy spray combined with the cortisone shot for knee arthritis. Cortisone builds up and becomes almost toxic. Fortunately, I found a cure of sorts. Colloidal silver spray used as a toner. It certainly cooked off the burn and helped with the redness and itch. Fluoride can also be a piece of the puzzle. Luckily there are lots of good choices for toothpaste without floride. I haven’t tried Colloidal Silver Spray as a toner, I have some and I may just have to try this! 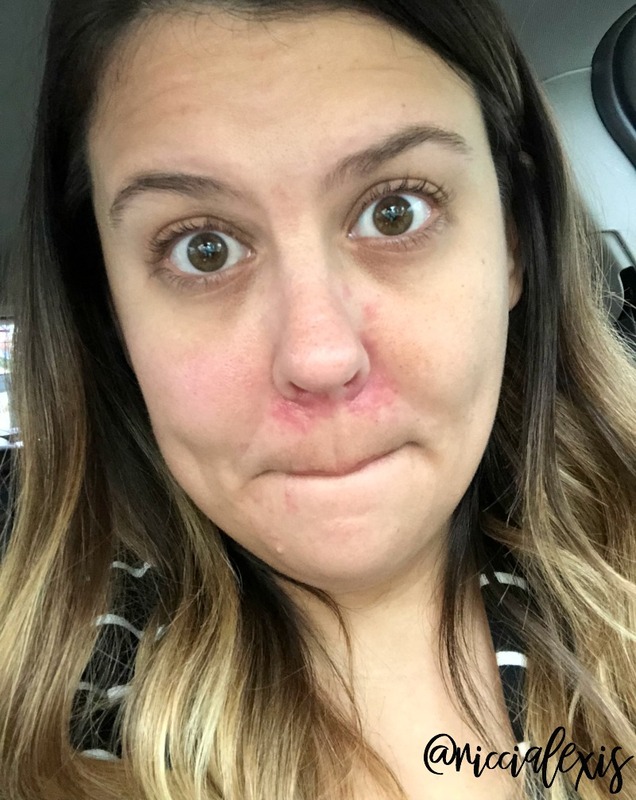 Mine was originally from Flonase use and this was my second flare up. It’s so awful to get rid of! !